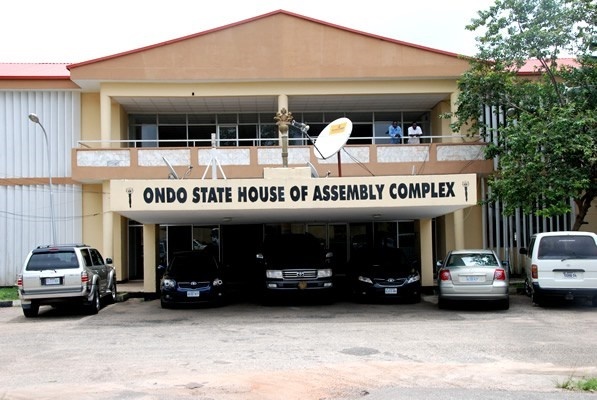 The Ondo State House of Assembly on Tuesday dissolved the caretaker committees in the 18 local government areas of the state. The House Speaker, Bamidele Oloyelogun, announced the dissolution on Tuesday at a plenary, following the expiration of additional six months tenure of the caretaker committees. The assembly had earlier approved an elongation of tenure to councils from October 4, 2017 to April 3, which apparently ends on Tuesday. Oloyelogun asked the caretaker chairmen to handover to the Directors of Local Government Administration in their respective council areas. Also, the House unanimous expressed its displeasure over the continued closure of the state-owned university, Adekunle Ajasin University, Akungba-Akoko for over four months. The House Majority Leader, Olusegun Araoyinbo, who moved the motion and seconded by Mr Deji Iroju, said that the university Vice-Chancellor, the Governing Council chairman be summoned to explain reasons for the closure. The speaker said that he was worried over long period of staying at home by students of the university. According to him, if not quickly addressed, it can affect the standard of education which the state has been maintaining over the years. Oloyelogun said that Ondo remains one of the states with high level of education standard in the country, and they intend to continue with the legacy.